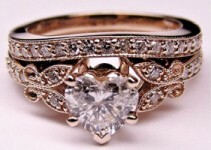 During the last decade, there has been an increasing popularity for the coloured engagement rings. This has become a big proposal trend for a lot of men who want to do away with getting the conventional giving of diamond engagement rings. 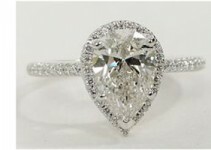 One of the things that make the coloured engagement rings a good option is that you can choose the colored gemstones according to the personality of your future wife which will give the impression that you have taken the time to really think about the kind of engagement ring to give and not just settle for the regular diamond engagement ring. Colored engagement rings come in different colors like black, brown, red, yellow, green, blue, purple and white. Gemstones with these colors have different meaning. That is why it is important to know the meaning of each color, and the stones that have that particular color before you buy one because the colored engagement rings can do more than represent the personality of the person that you are proposing to. They can definitely be a symbol of the story of your love too! 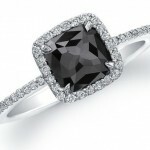 The black coloured engagement rings symbolize prosperity, great physical health, loyalty, courage and happiness. If you want to get the black coloured engagement ring, you can look for the engagement rings with onyx, black diamonds, agate, black sapphire and jasper. 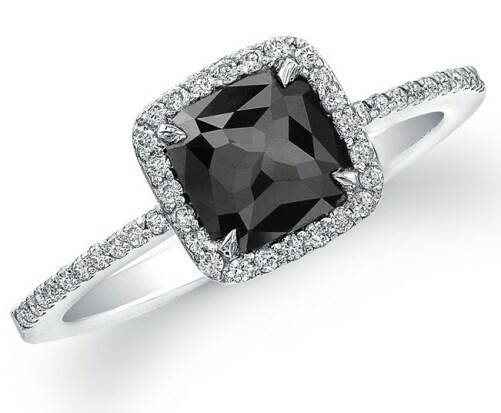 The black coloured engagement ring can be a fashion statement and can be worn with almost any outfit color. This is the perfect choice for the executives and the fashion conscious women. As they say, black may have a negative meaning for a lot of people, but it’s possible to wear it in style! Brown coloured engagement rings are another great style of coloured engagement rings and they symbolize stability, harmony, practicality and dependability. 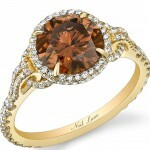 For a brown coloured engagement ring, you can go for chocolate coloured diamonds, Tiger’s Eye and Quartz. 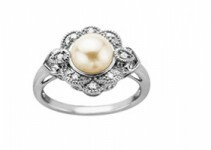 This engagement ring is perfect for the simple personalities who want to go for jewelry with gently beauty. This is perfect for those who are down-to-earth and practical and the ones who want to do away with going for the flashy jewelry. 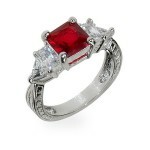 The Red coloured engagement rings are the most popular among the coloured engagement ring styles. 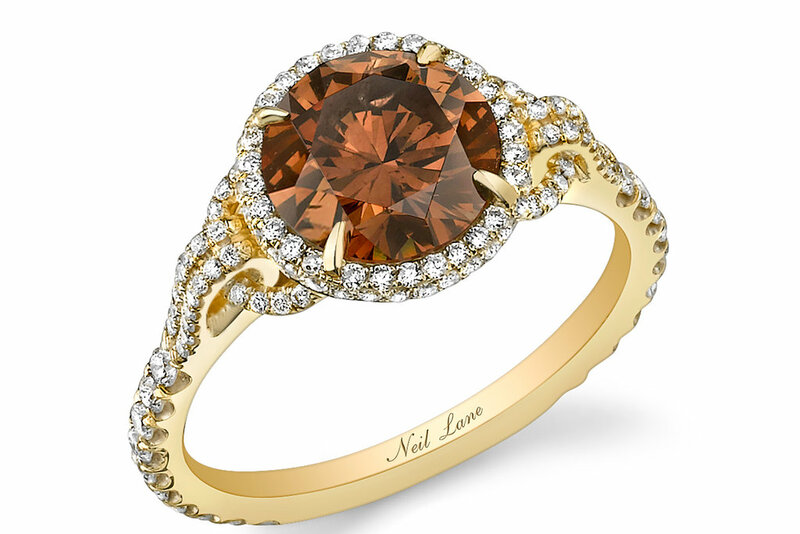 This coloured engagement ring style stands for passion, courage, romance and power. Red gemstones can be rubies, coral, garnets and red diamonds. This is the perfect engagement ring for those who have domineering and fiery personalities. Red is a good color for those who are ambitious, outgoing and spirited. 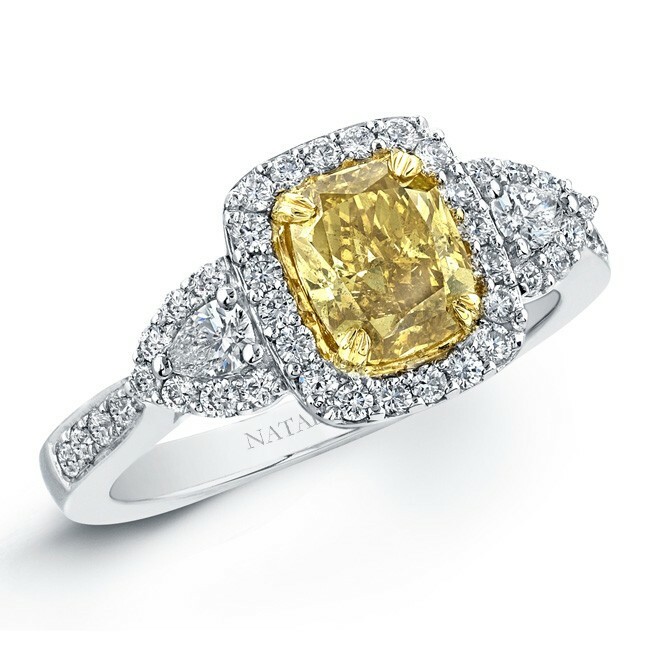 Yellow coloured engagement rings are great. For these, you can go for yellow topaz, orange topaz, amber, yellow sapphires and yellow diamonds. 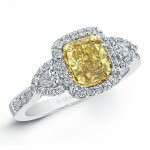 The yellow coloured engagement rings symbolize positive thinking, friendliness, enthusiasm and playfulness. This is a great choice for creative, adventurous, quirky and bubbly people. If you want coloured engagement rings that stand for wealth, fertility, luck and long life, then you can go for the green coloured engagement rings. 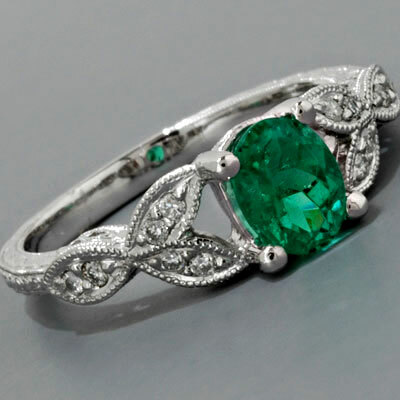 Emeralds, turquoise and green sapphires are the usual gemstones used for the green coloured engagement rings. This is the perfect choice for those who work with a lot of money. It is also perfect for people who believe in symbolism. What’s great about the green engagement rings is they are not so flashy, but they are very fashionable. 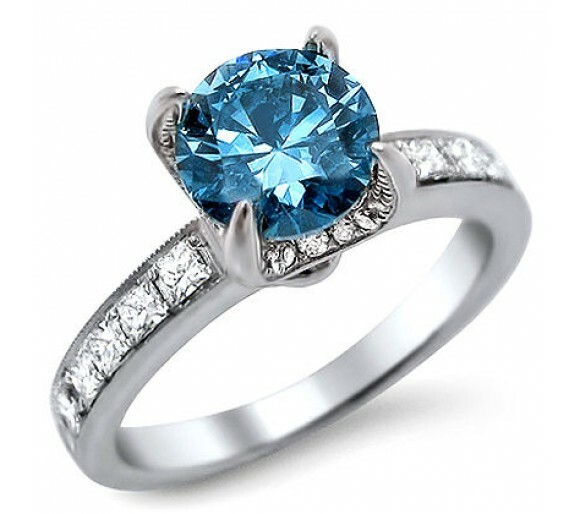 Blue coloured engagement rings usually have sapphires, tanzanites, aquamarines, blue topaz and turquoise as its center stone. 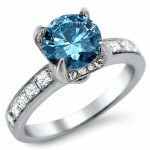 The Blue coloured engagement rings symbolize loyalty, strength, honesty and good health. This is the perfect color for those who are out going. This should be given to those who have careers centered on relating to other people. If you are proposing for philosophers, artists and creative people, then the purple coloured engagement ring is a great option! 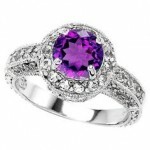 The purple engagement ring stands for connection to inner spirits, enlightenment, inner peace and pride. You can give this to ladies who have mysterious and classy personalities. For this, you can go for gemstones such as amethysts, purple sapphires, punk and purple diamonds. Coloured engagement rings may not go with the standard giving of coloured engagement rings, but they are a great option! Get your coloured engagement rings today!